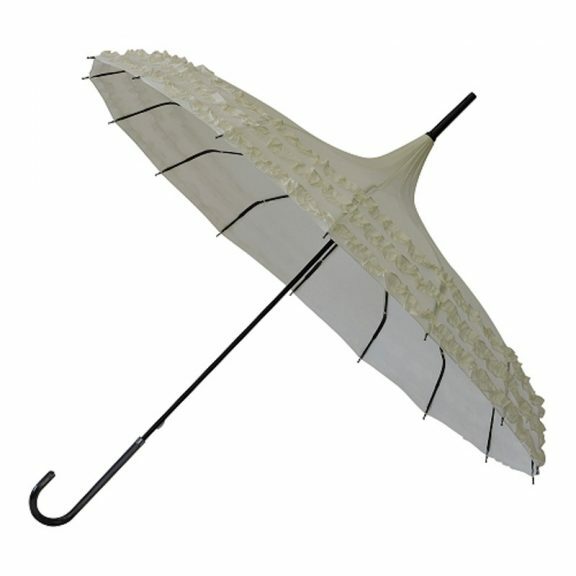 Looking for an ivory umbrella, an ivory pagoda umbrella or specifically an ivory wedding umbrella? The Phoebe is just what you’re looking for! Our new Phoebe Ivory Umbrella is perfect for any special occasion and makes an ideal umbrella for a wedding. Featuring a wonderful triple frilled design. As well as this, Phoebe is complemented by a distinctive black slimline leatherette handle and matching black frame. The distinctive pagoda shaped canopy is entirely waterproof, this gorgeous ivory pagoda umbrella doubles up as a pagoda parasol. 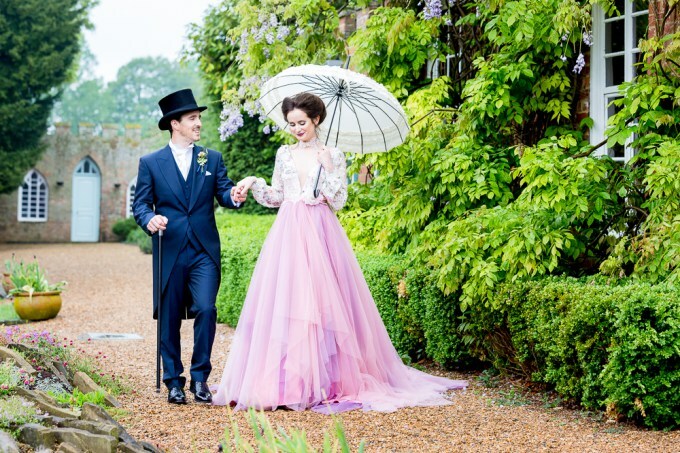 Perfect, come rain or shine. Length is 85 cm with a canopy span of approximately 88 cm. Not the umbrella for you? 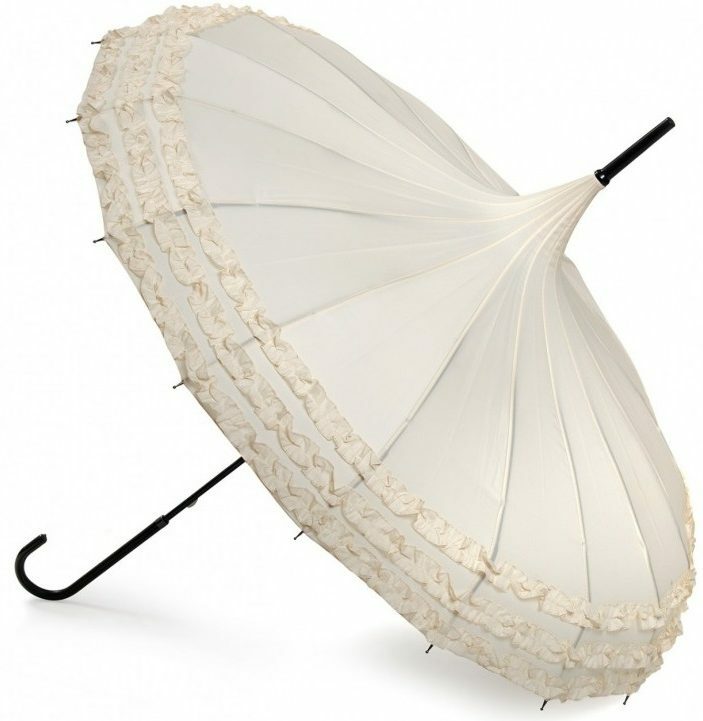 Check out the rest of our pagoda umbrellas!